Creating, Reviewing, and Approving Estimates for Clients. Estimates are the backbone of profitable veterinary practices. They help provide value and insight into state of the art medicine for clients. 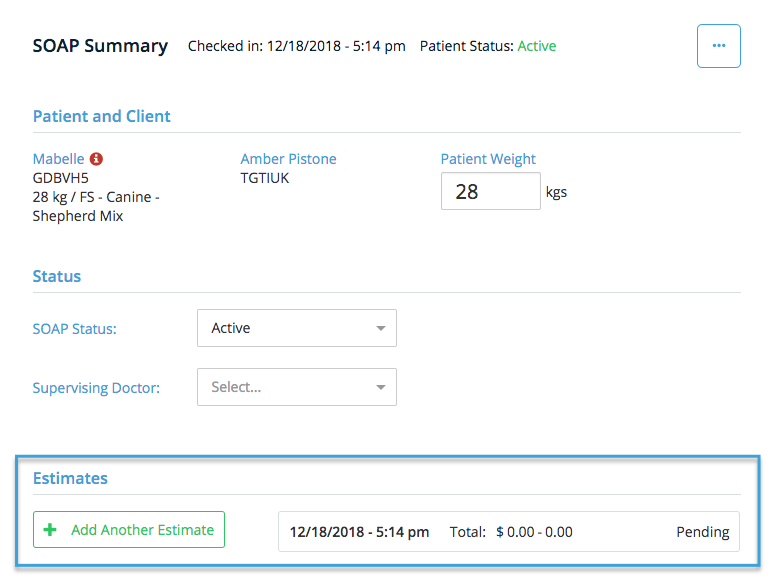 Shepherd believes that quick and accurate estimates help veterinarians get to work sooner, and help clients see clearly what is needed to help their pets. 1. Check the patient in. 2. Click into the SOAP to view the SOAP Summary page. 3. 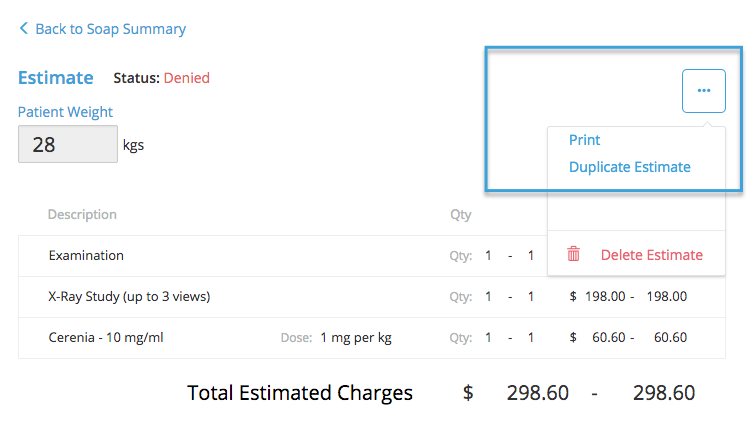 You may click to edit the initial estimate created or you may click to add another estimate at any time. 4. If not already added, enter the patient's weight. 5. Search for products or services that you offer, or add a custom item and price. 6. 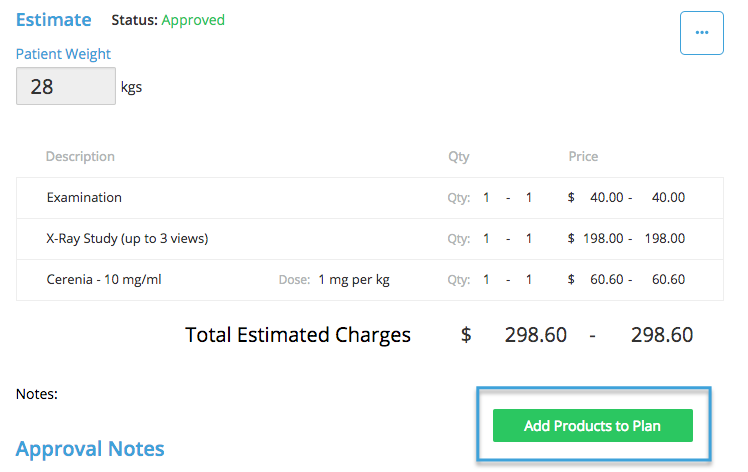 Add any quantity ranges or doses needed for that item. 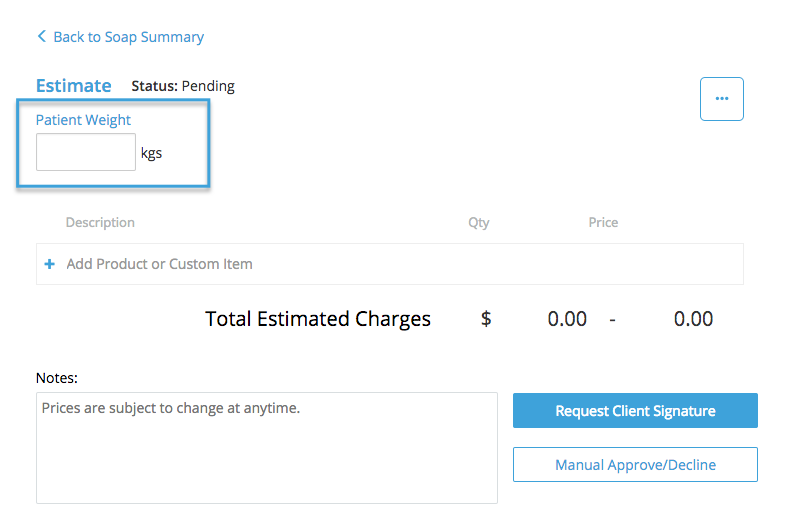 *Pro Tip: you can drag and drop to re-order items on the estimate by clicking on the options icon next to each item. 7. Add any relevant notes you would like to display on the estimate. 8. Ask for the client's approval with a signature or process manually. 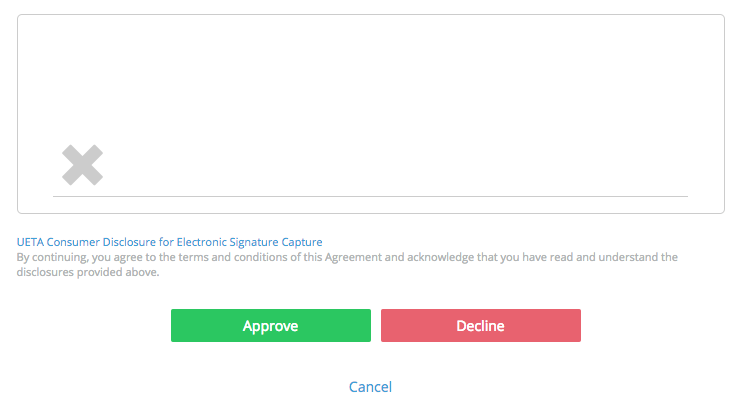 If you are collecting an electronic signature, click "Request Client Signature". After the client has given their signature, they will be prompted to approve or decline the estimate. *Note: For security purposes, while the signature box is present the client will not be able to click to navigate anywhere else in Shepherd. After the estimate is marked approved or declined, a Shepherd team member will need to enter their pin number to continue. If you are approving or declining the estimate manually, click "Manual Approve/Decline". 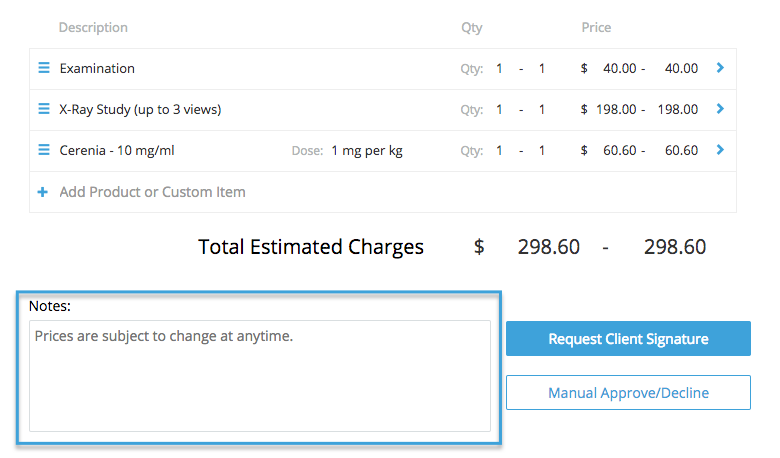 If the client approves the estimate, you then have the option to push the product straight to the treatment plan. 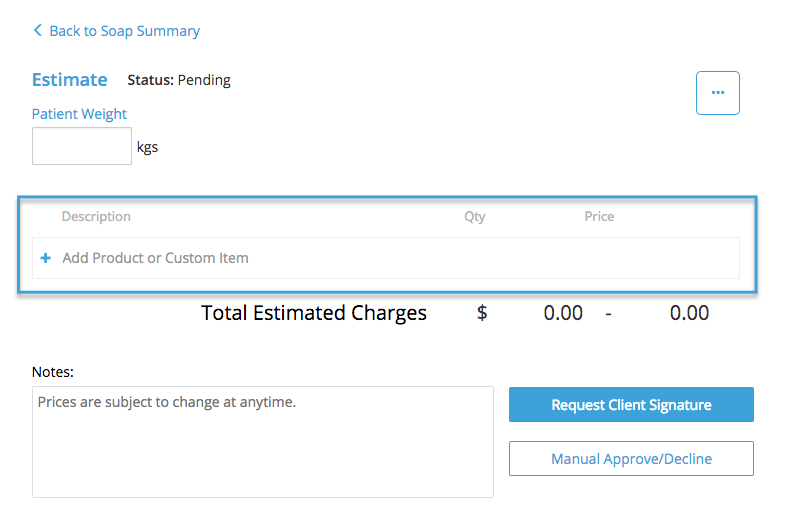 If the client declines the estimate, you can duplicate the original estimate to help create and modify a new one quickly. Marking the estimate declined ensures that the decline of charges is recorded. 9. You may print the estimate for the clients records.